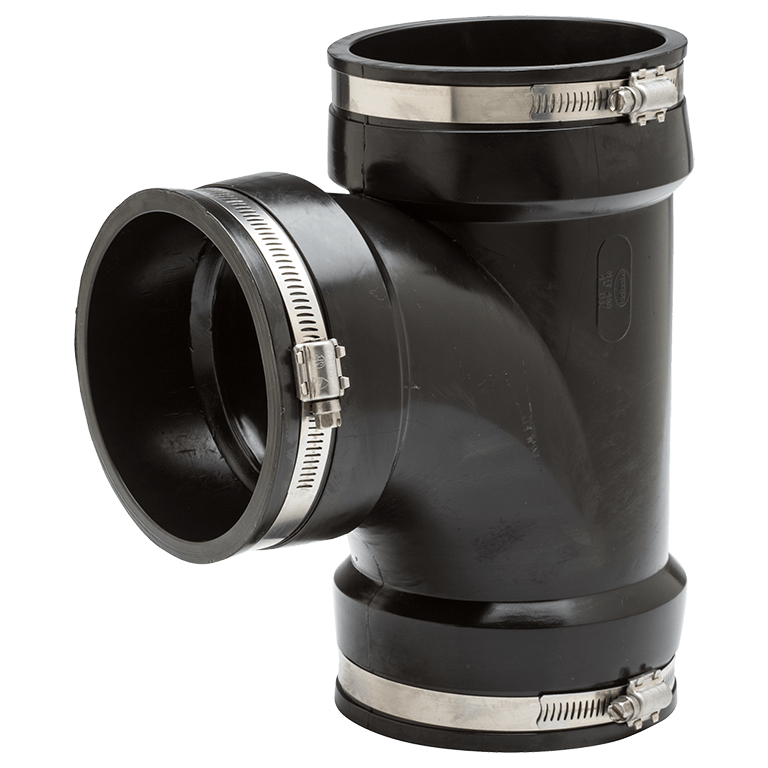 Flexible, phthalate-free PVC fittings connect Cast Iron, Schedule 40 Plastic, Steel or Copper pipe. 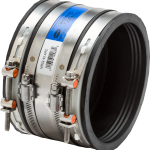 To repair or replace drain waste and vent DWV fittings. No gluing, threading or soldering needed. Non-pressure, gravity flow applications only. Recommended for above ground installations. Easy to install and reuse. Multiple sizes from 1.5” to 4”. 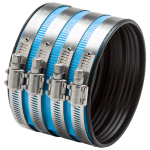 Increased band tension secures pipe ends, forming a watertight seal. Synthetic rubber bushings permit considerable distortion withstanding tension and compression. More pliable, easier to install in cold weather applications than elastomeric PVC gaskets. Molded, one-piece, phthalate-free PVC fitting is strong and resilient to fungus growth. Multiple connections: Cast Iron, Schedule 40 Plastic, Steel or Copper pipe. Reducer bushings connect smaller sizes.